Hundreds of passengers were evacuated from the North Terminal of London's Gatwick airport on Saturday [14th November] after armed police confronted a man "acting suspiciously". Witnesses at the scene spoke of police shouting at the man to get down before arresting him. Some passengers said they overheard conversations discussing the possibility the man had a gun whilst other spoke of a hand grenade [Twitter / Twitter]. Pictures posted to social media showed scores of passengers being evacuated after the terror scare. Other photographs showed a bomb disposal truck at the scene. 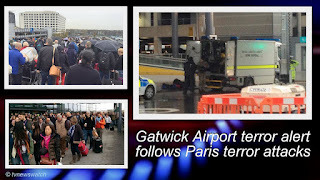 As passengers were evacuated from the terminal members of the Royal Logistics Corps Bomb Disposal team arrived at the scene to deal with the suspicious item. Police were called at about 09:30 GMT after "suspicious actions" by a man. A spokesman confirmed that Explosive Ordnance Disposal specialists were at the scene. Sussex Police would only say that a man was arrested after he "discarded an item" at the airport. 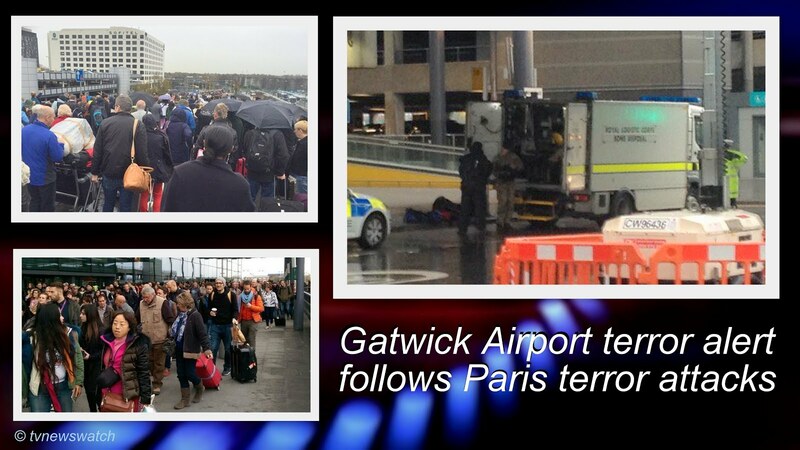 Meanwhile Gatwick Airport advised passengers to contact airlines for information concerning travel plans. The terror alert followed terrorist attacks in Paris on Friday 13th November that left 127 dead and more than 100 injured.